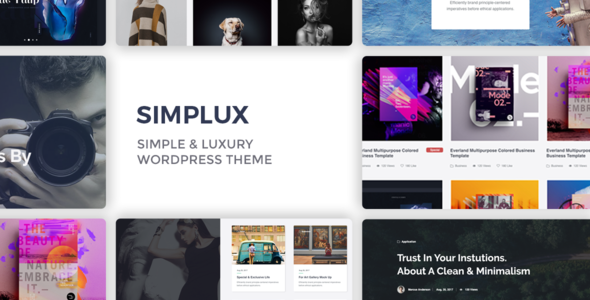 SIMPLUX is a WordPress Theme, itâ€™s not just ordinary WordPress theme, its a new look of soft and clean professionalism for Corporate, Portfolio and Blogging. These designs combine creativity with simplicity on each page. This theme is suitable for all creativity, blogs and creative corporate businesses.